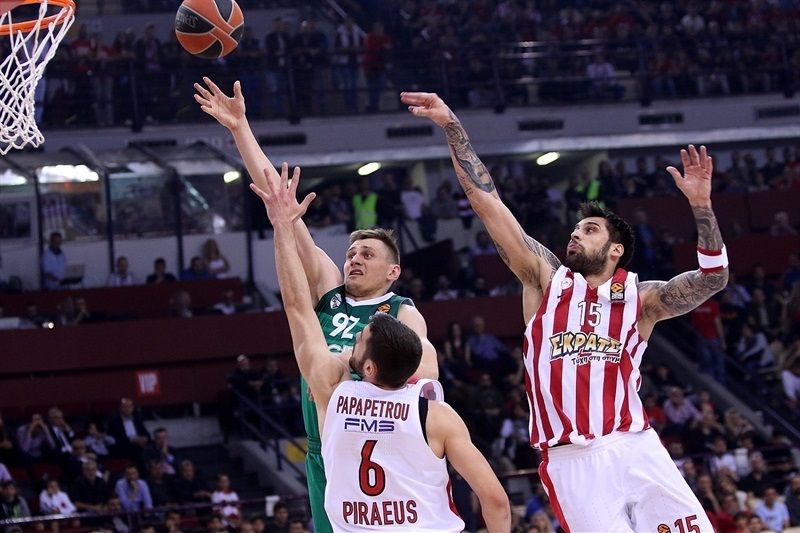 Olympiacos Piraeus reignited its Final Four challenge by overcoming Zalgiris Kaunas 79-68 at the Peace and Friendship Stadium on Friday, tying the series at 1-1 ahead of next week's meetings in Lithuania. 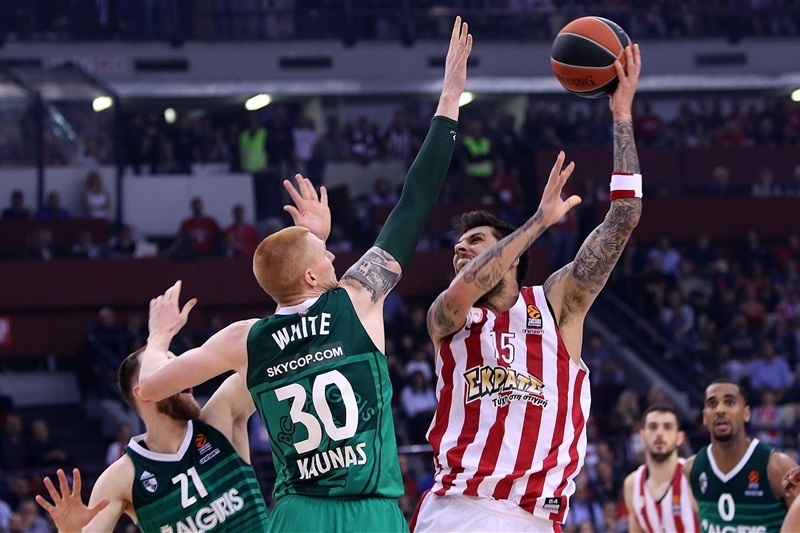 The key to the victory was a 17-2 spurt from Olympiacos to bridge the first and second quarters, and although Zalgiris fought back to tie twice, the visitors could never move ahead and a strong start to the final quarter took the Reds to the finish line. 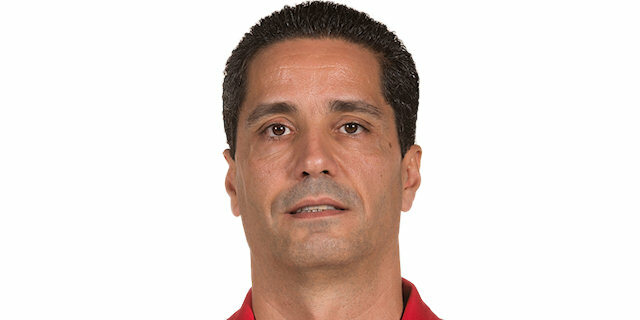 Jamel McLean – taking an enhanced role due to Nikola Milutinov's injury – led the scoring with 21 points, while Vassilis Spanoulis netted 17, and Ioannis Papapetrou contributed 9 points and 7 rebounds. 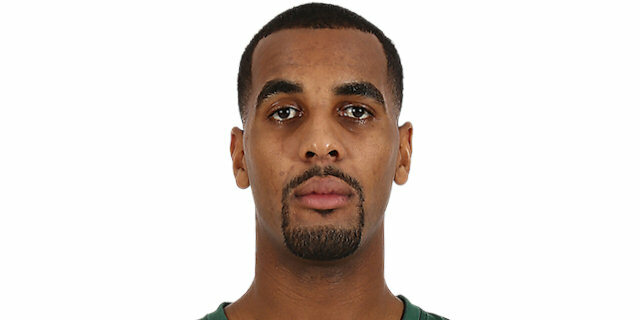 Zalgiris was paced by 20 points from Brandon Davies, while Vasilije Micic combined 13 points and 8 assists and Arturas Milaknis scored 11. 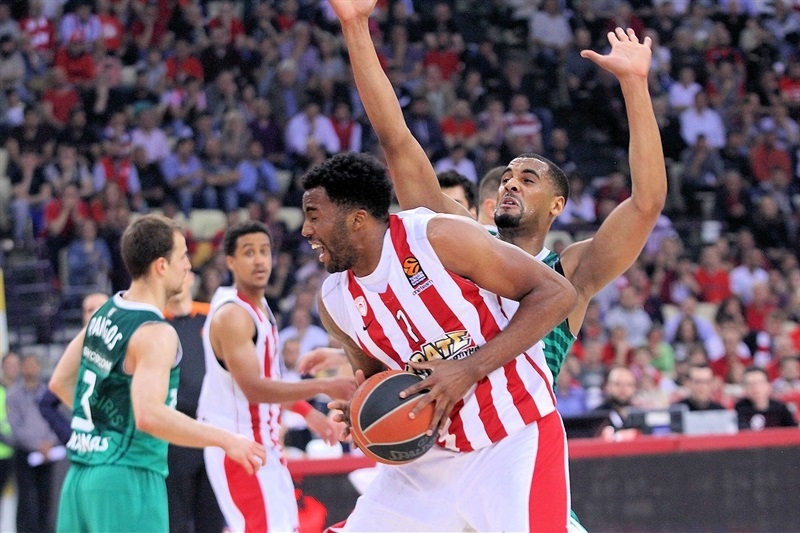 But the visiting team was forced into 15 turnovers and was allowed to attempt just 11 three-point by the smothering Olympiacos defense. McLean's jumper opened the scoring before Micic answered with a pair of layups for Zalgiris's first lead. Kevin Pangos hit a triple and Micic nailed a jumper for a 4-9 edge, but McLean made free throws and unleashed a coast-to-coast slam to get it closer. 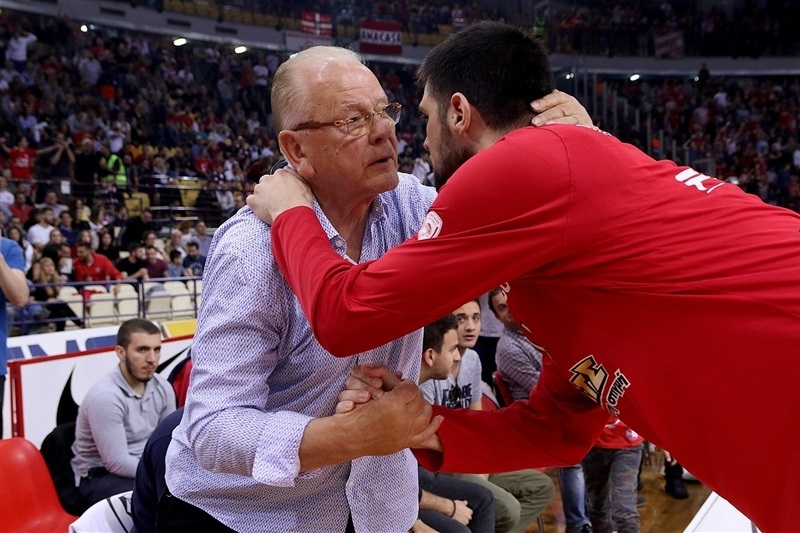 Axel Toupane made a long two and added a reverse, but Spanoulis converted a layup-and-one to make it 11-13, then Kim Tillie tied it up from close range. 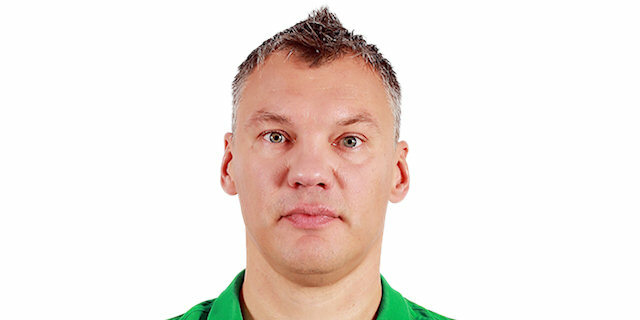 A technical foul on Zalgiris coach Sarunas Jasikevicius let the hosts go ahead and after Antanas Kavaliauskas converted an offensive board Janis Strelnieks scored Olympiacos's first three-pointer to make it 17-15 after 10 minutes. 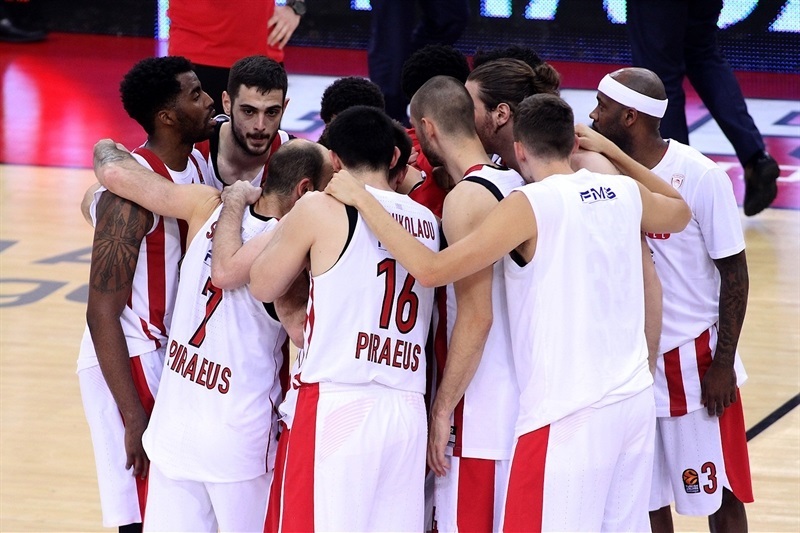 Strelnieks added another triple, Spanoulis did the same, and Papapetrou scored from close range as the Reds went on a 17-2 run for a double-digit lead, 25-15. 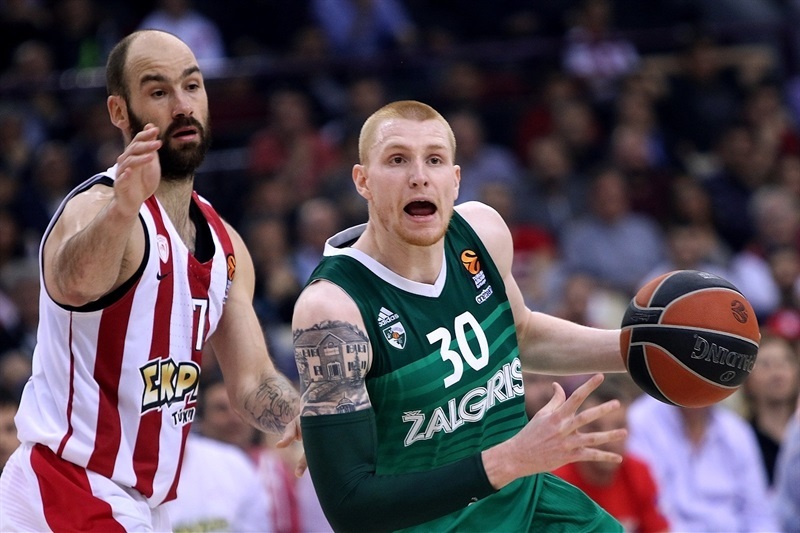 Kavaliauskas stopped the slide for Zalgiris, but McLean grabbed an offensive board to dunk with a foul. 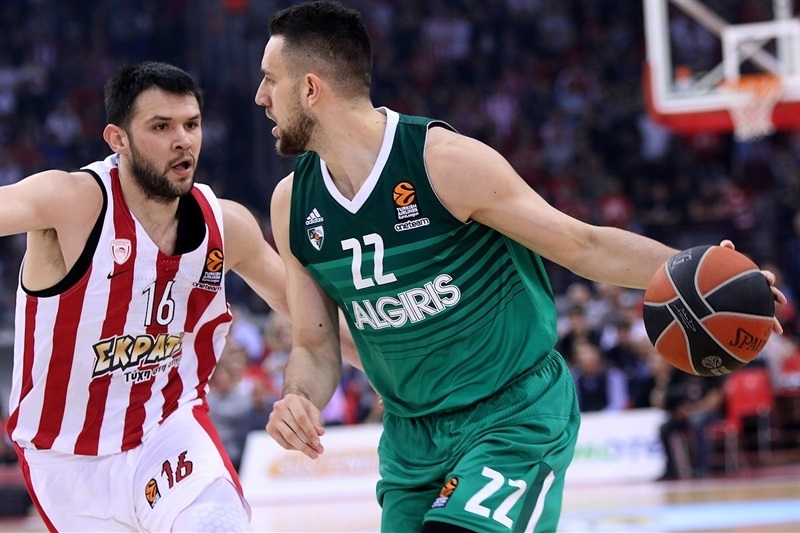 Pangos floated one in and Milaknis hit a triple as Zalgiris tried to fight back, but Spanoulis struck from way downtown to protect his team's lead. Aaron White exploded an alley-oop but McLean scored twice from close range and Bobby Brown nailed a triple, before White dunked again to make it 41-32 at halftime. 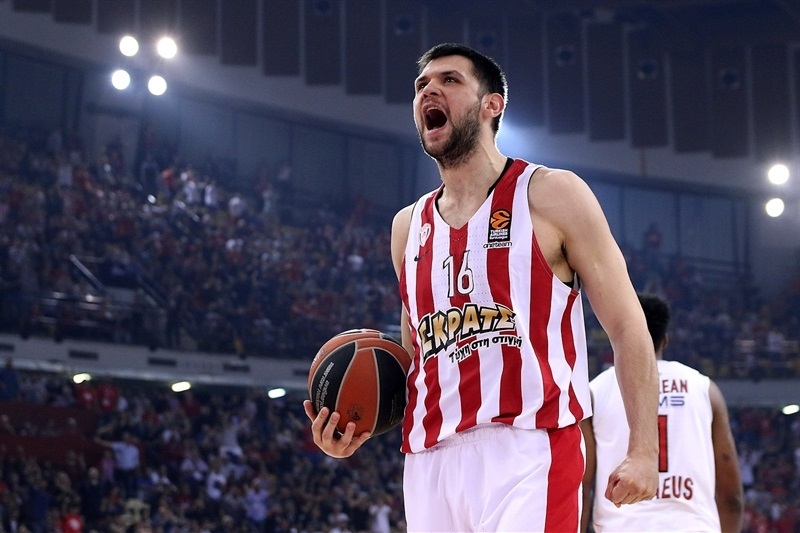 Georgios Printezis scored a floater off the second half's opening possession, but Milaknis responded immediately from deep. 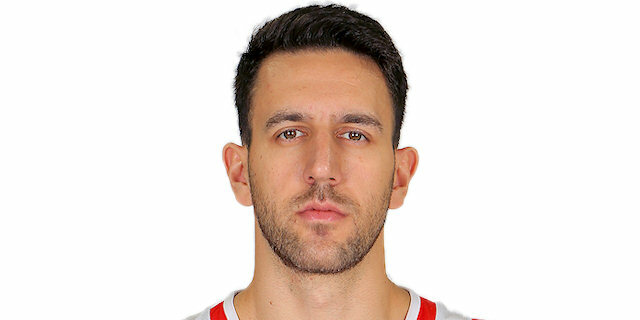 Spanoulis made a jumper that Davies answered with an alley-oop layup. Micic then made a three-pointer and Davies went off the glass to make it a one-possession game. 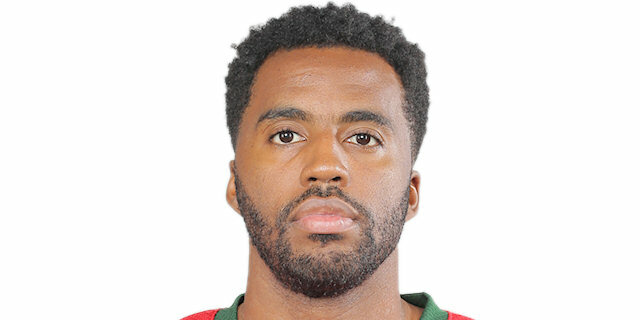 Baskets were evenly traded before the red-hot Davies scored twice in succession to tie it at 50-50. 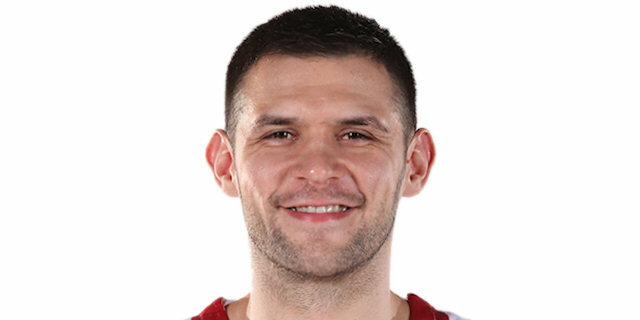 McLean completed a three-point play before the pace of the scoring slowed, with no field goals in nearly 3 minutes before Kavaliauskas netted. Toupane beat the buzzer with a long two at the end of the third quarter to force another tie, 54-54. 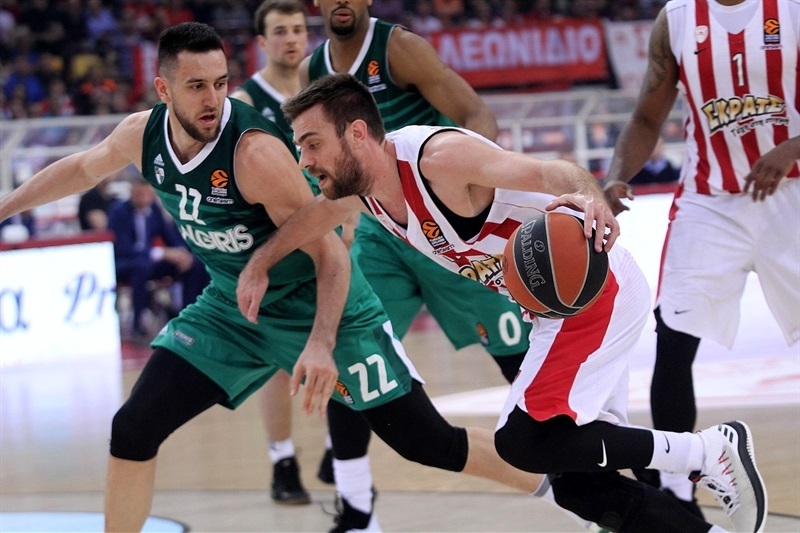 Vangelis Mantzaris opened the final period with a three-pointer and Kostas Papanikolaou soon added another to give the Reds a cushion. 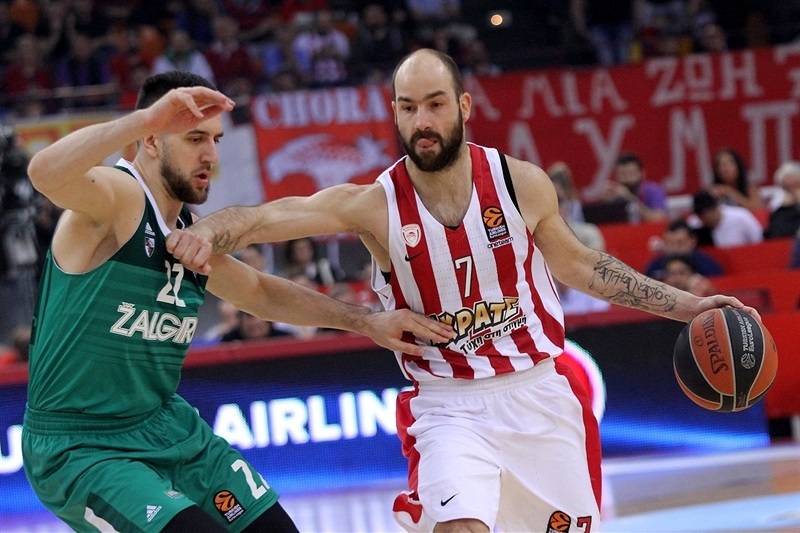 Olympiacos's defense flexed its muscles as Zalgiris was held scoreless for more than 5 minutes and Printezis struck a triple to make it 63-54. Davies split free throws but Printezis scored again and McLean netted twice to make it 72-59. 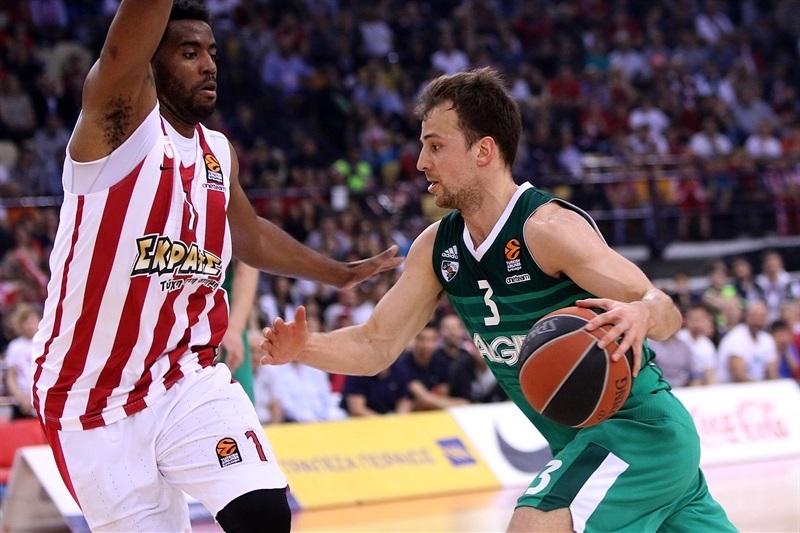 Milaknis hit his third triple to give Zalgiris faint hope inside the final 2 minutes. 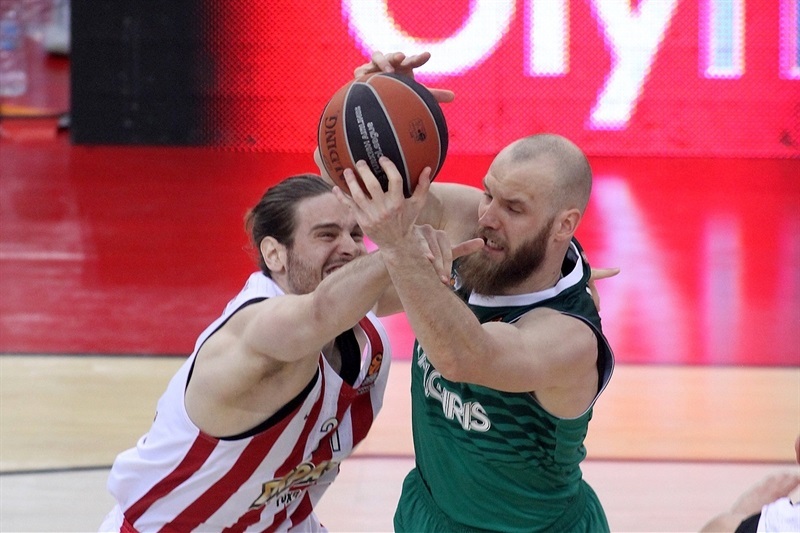 Zalgiris has slim hopes by then, but a huge slam and a triple from Papapetrou sealed the deal with authority.